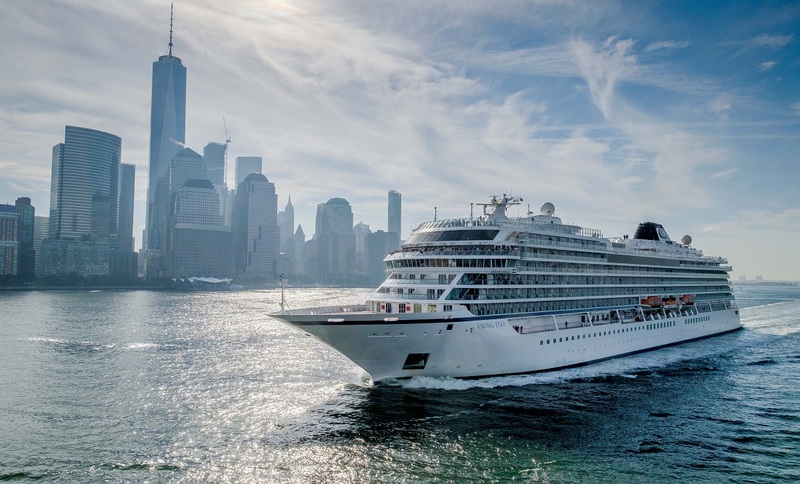 Viking Cruises today announced that it took delivery of Viking Sun, the company’s fourth ocean ship. The delivery ceremony took place this morning when the ship was presented at Fincantieri’s shipyard in Ancona, Italy. On 4th October, Viking Sun will set sail from Venice, making her way through the Adriatic and Ionian Seas on her maiden voyage. In early November, Viking Sun will cross the Atlantic to sail Autumn itineraries. On December 15, the ship will embark on Viking’s first-ever World Cruise. Over the course of 141 days, Viking Sun will journey around the world, visiting 35 countries and 66 ports, before the itinerary ends in London on 5th May 2018. In 2019, Viking Sun will continue to sail the globe on the recently-announced second World Cruise, which spans 128-days, five continents, 21 countries and 44 ports with 10 port overnights. Dining Choices: Viking’s ships offer eight dining options, all with no additional charge or fee—from fine dining in The Restaurant, which serves three full meals and a variety of culinary options, and the World Café, which features international fare and regional specialties including a sushi and seafood cold bar—to intimate alternative dining experiences at The Chef’s Table, which offers a multi-course tasting menu with wine pairings, and Manfredi’s, which features freshly prepared pastas and Italian favorites. The Pool Grill specialises in gourmet burgers, while afternoon tea and scones are available in the Wintergarden. Mamsen’s serves Norwegian deli-style fare, and complimentary 24-hour room service allows all guests to enjoy many signature dishes in the comfort of their stateroom. Furthermore, with multiple choices for outdoor seating during meals, Viking’s ocean ships offer the most al fresco dining at sea. Additionally, The Kitchen Table specializes in regional dishes from market to table. Nordic Inspiration: Even the smallest details take their inspiration from the exploratory spirit of the original Vikings, reflecting deeply held Nordic traditions. Light wood grains, touches of slate and teak, Swedish limestone and fragrant juniper appear throughout the public spaces and Spa. The Clinker-built design of the Viking Bar mirrors the construction style of the original Viking Longships. A Viking Heritage Center provides history and context from the Viking Age, and characters from Norse Mythology are subtly incorporated into the design, providing curious guests with inspiration to further explore Viking’s Nordic heritage.